Cory B. Nelson, Special Agent in Charge of Chicago’s FBI Office, is leaving his post after just seven month to take a job in the private sector, the Chicago Sun Times reports. The 51-year-old notified the bureau Wednesday that he was leaving for a job with insurance and banking firm USAA in San Antonio, according to the Sun Times. 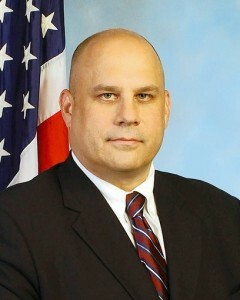 Nelson, who held a low public profile, had replaced Rob Grant for the top FBI job in Chicago. What’s unclear is why he left. Some are speculating that he left because of sequesters or the inevitable turnover to happen when a new FBI director takes over, according to the Sun Times. Posted: 7/26/13 at 11:08 AM under FBI, Milestone, News Story.